What appears, at first glance, an unusual choice for a musical proves a joyous celebration of culture, identity and acceptance. The timing of the original hit movie Bend It Like Beckham (2002) was at the cusp of an explosion in women’s soccer, with numbers soaring from thousands to nearly two million women and girls now playing the sport across Britain. 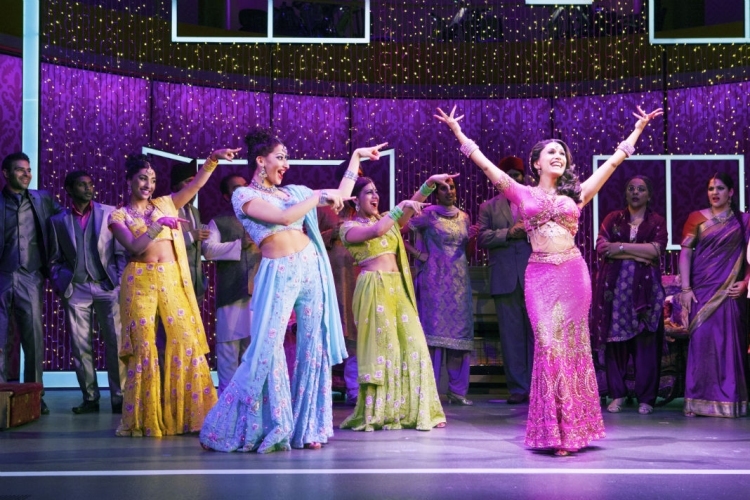 Retaining the timeframe but adjusting the location to Indian-centric Southall, Gurinder Chadha and Paul Mayeda Berges repeat their movie co-writing duties to create a flowing, engaging, humorous musical. 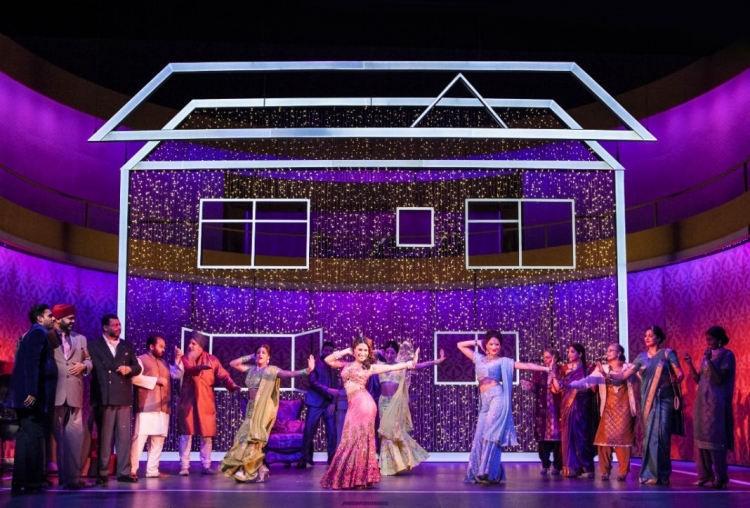 Chadha also repeats her directing credit, showing herself completely fluent in music theatre language with a pair of climactic numbers (one in each act) in which characters and locations share the stage in abstract but completely clear dimensions. 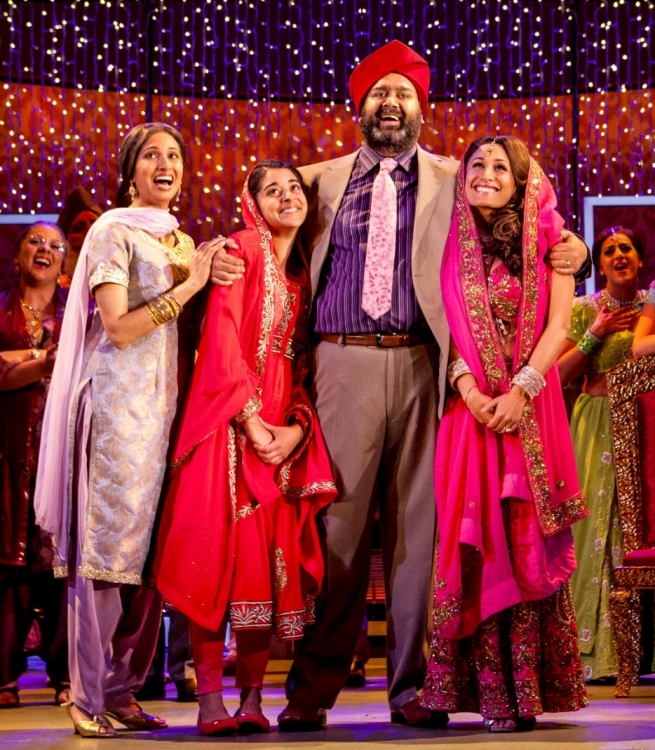 Far from being exclusively a sports story, plenty of necessary colour and movement are derived from the engagement, mehndi and wedding of Pinky, vacuous sister of lead character Jess. In line with the realistic suburban focus of the setting, Howard Goodall’s score avoids full Bollywood, providing catchy ballads and anthems along with smatterings of authentic-sounding Indian music. There is a remarkable quality to the beauty of the chorus singing. 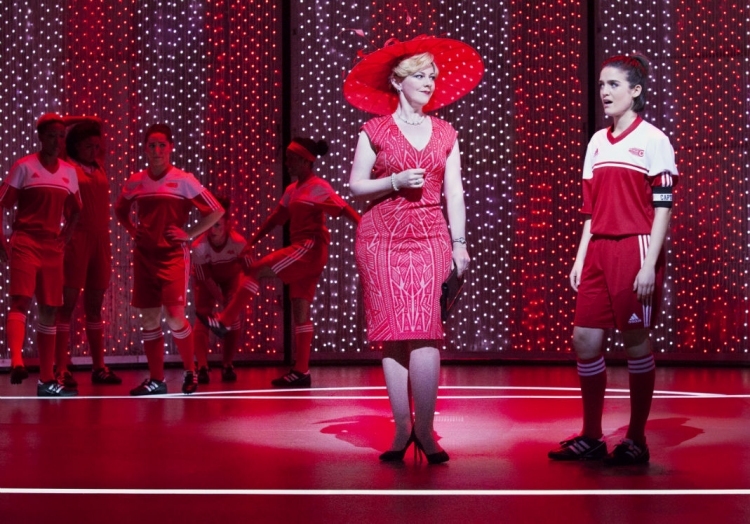 After protracted focus in act one on the to and fro of Jess’ can she/cant she involvement in soccer, act two provides a string of songs that illuminate the inner thoughts of a range of supporting characters. When even the soccer coach can naturally express himself in song, it is clear that the numbers have been skillfully created to derive naturally from scenes. Charles Hart (of The Phantom of the Opera fame) wrote the lyrics. Aletta Collins’ energetic, enjoyable choreography stems organically from the characters’ everyday lives, from sports training to shopping to traditional Indian dancing. Actual soccer balls are used occasionally, with a couple of special effects creating the titular “bend” of Jess’ goal kicking. Framed by a pro arch adorned with AstroTurf, the stage features a curved grandstand, with curved triangular units rotating to create Southall Broadway, wallpapered interiors, tree lined ovals, changing rooms and more. The glittering hanging threads of lights of the Bhamra home are not only attractive but are also included the story. Costumes are gorgeous with being ostentatious. Natalie Dew is completely endearing as the humble, down to earth Jess. Kirstie Skivington covered best soccer friend Jules at this performance, giving a lively performance and skillfully conveying the vulnerability of this talented soccer player. Preeya Kalidas is quite hilarious as Pinky, who is as daft as she is pretty, and also shows herself a terrific dancer. Jamie Muscato brings an understated integrity to coach Joe, a role that could be ruined if it was overplayed. The list of excellent lead performers goes on, with each establishing a rounded character that is clearly identifiable without going anywhere near stereotype or caricature. The stage exudes feel-good warmth at the finale, leaving the appreciative audience in high spirits. It is disappointing to hear that the show will close in March after playing less than a year. 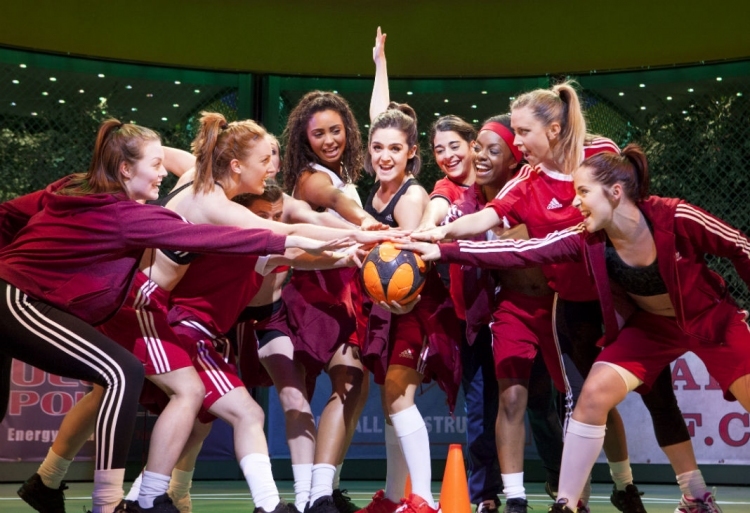 Bend It Like Beckham The Musical plays at Phoenix Theatre, London until 6 March 2016. Hi Simon So glad you liked this one. I loved it! Thought it was a totally uplifting, feel good show that you would find hard to resist. Very enjoyable! It should do well on a national tour, and I hear that they will be taking it to India! Keep them coming! Thanks Vito. 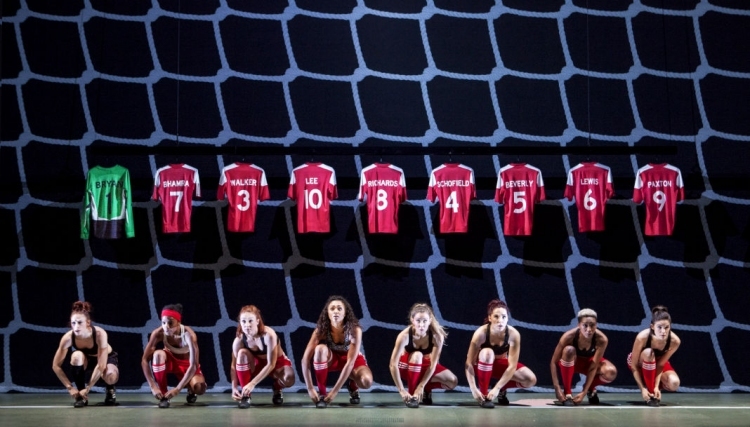 We all know how hard it is to get new musicals off the ground and I think the creators and producers have done an excellent job with Bend It Like Beckham. Glad to hear it will tour – it deserves a longer life. Can’t imagine it ever being staged in Australia but then again you never know..
Great review! We’re a London theatre blog, please check us out.